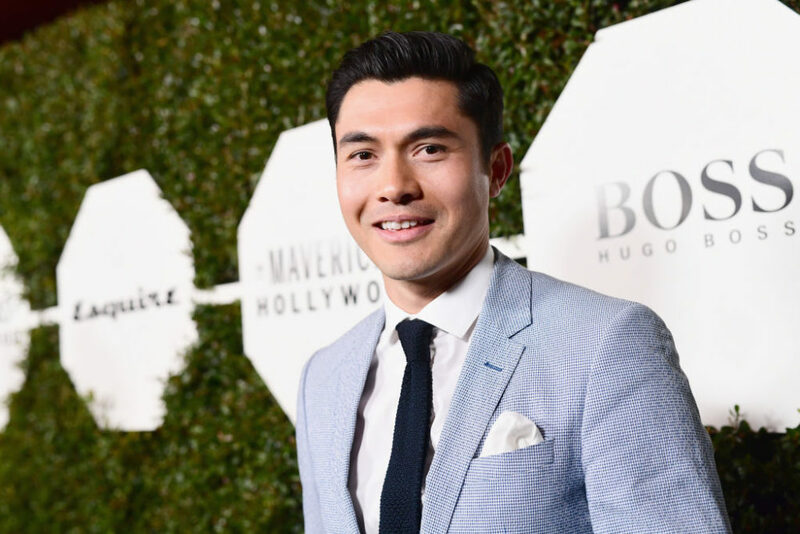 Henry Golding is here to change the way we think of leading men. The 31-year-old British-Malaysian actor will star opposite Constance Wu in the highly anticipated film Crazy Rich Asians, out in theaters on August 15th. Based on Kevin Kwan’s best-selling novel of the same name, the film will be the first in 25 years to star an all-Asian, largely Asian American, leading cast (The Joy Luck Club preceded it in 1993). Given the lack of substantial Asian representation in Hollywood, director Jon Chu has called the film a movement in the making. And it isn’t very difficult to see why: Crazy Rich Asians presents Asians in a way Hollywood has never seen before, and the significance isn’t lost on leading man Henry Golding. Golding stars as the charming Nick Young, who travels back home to Singapore with his girlfriend Rachel Chu (Wu) for his best friend’s wedding. Only Nick fails to mention that his family is one of the wealthiest and most established in the country—making him essentially the Prince Harry of Asia. During the film, Rachel must contend with jealous socialites, Nick’s disapproving mother Eleanor (Michelle Yeoh), and whether or not her relationship with Nick can withstand all the opulent madness of Singapore high society. Amid the glamour and gluttony of luxe weddings and dumpling-making, Crazy Rich Asians is a stunning revelation that leaves no more excuses for underrepresentation. At the film’s press junket in Beverly Hills, Golding told me about the “slap in the face” experience of watching the film for the first time. “I was just taken away. Jon has amazing taste in creating that feel that’s so uniquely, unapologetically Asian. It was a sort of slap in the face. It's just, ‘Why hasn't this been done before? Why has it taken this long?’ And then you realize that you actually forget that it's all Asian and you're just in the story, and it just so happens that they're in Asia,” said Golding. Crazy Rich Asians is certainly multifaceted in a way that mainstream Hollywood has mostly reserved for white-led cinema. Perhaps most subversive is the film’s lack of reliance on tired stereotypes about Asians. In the novel, Rachel delivers a line about never dating Asian men. According to the filmmakers, leading lady Constance Wu lobbied for the line’s removal, citing its contribution to the desexualization of Asian men. The film, particularly through Golding’s role, reconstructs Hollywood’s long-standing desexualization of Asian men as undesirable or unattractive. While Crazy Rich Asians is being hailed as a watershed moment for Asian representation, there has also been criticism surrounding its lack of dark-skinned Asian actors. But Golding believes the film should be taken as just one story among many. So, did the historical significance of the film weigh heavily during filming? Crazy Rich Asians hits theaters on August 15th.